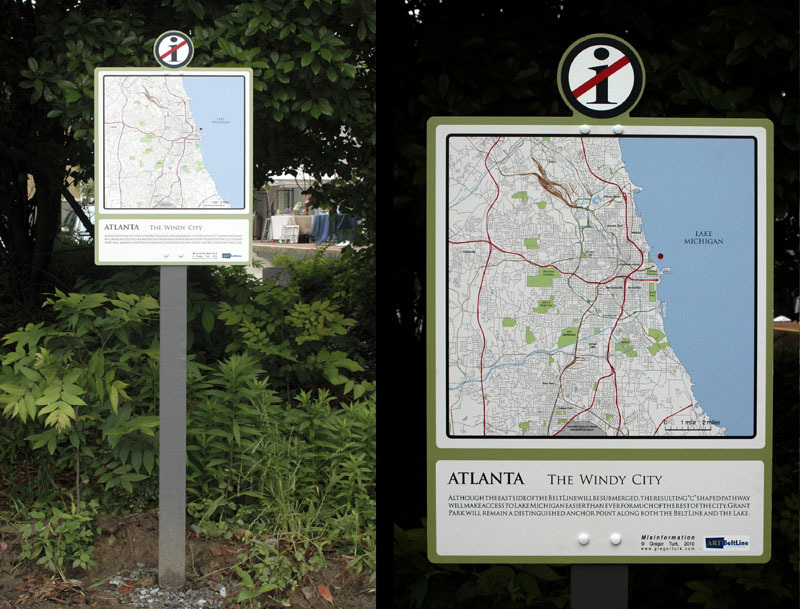 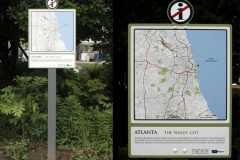 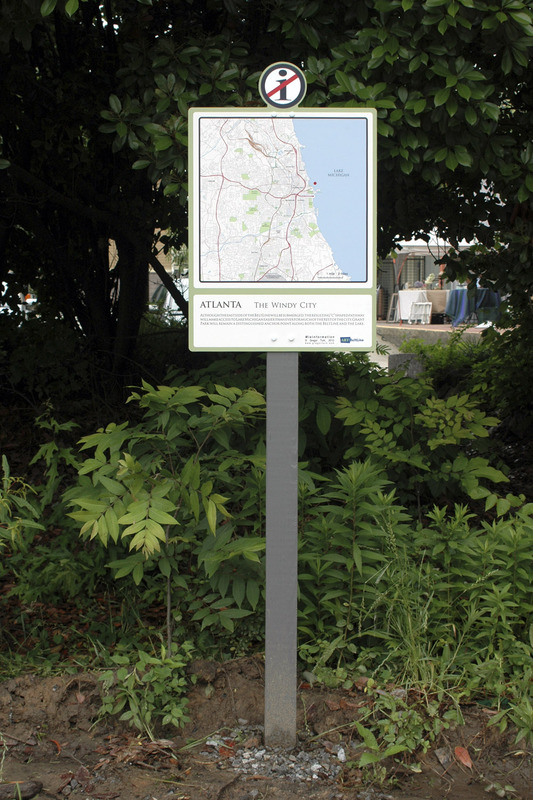 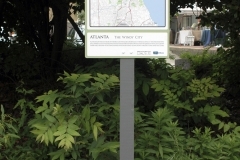 Misinformation, a series of official looking way-finding signs featuring absurdly reconfigured maps of Atlanta, was part of Art on the BeltLine, a temporary public art installation along Atlanta’s BeltLine. 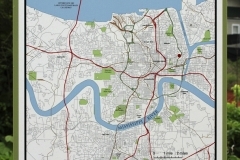 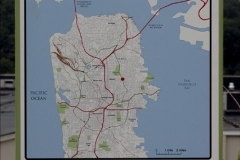 Most major U.S. cities have a navigable river, lake, bay or ocean that define them. 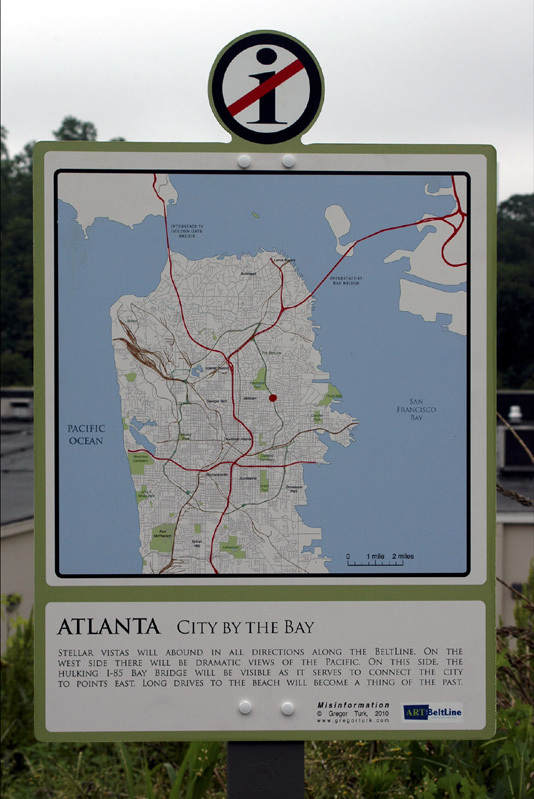 However, Atlanta, located atop the Eastern Continental Divide, is a city without any significant navigable water features. 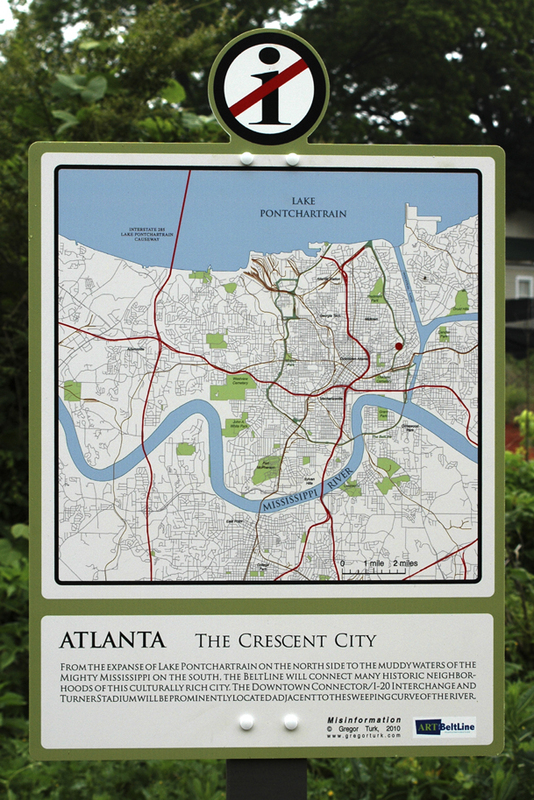 By taking the outline of other recognizable cities’ water features and inserting Atlanta’s street grid to scale within their framework, Turk created plausible yet incongruent maps for the public to ponder.